Welcome to Week 12 of Year 5 at PPF! This week our random number generator chose #63 - Irene. Lately Irene has been having a bunny obsession. 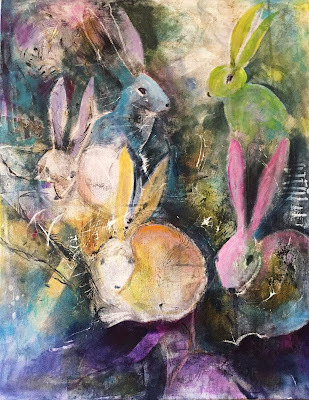 And these aren't the only ones, so make sure to check out the other fun rabbit paintings on her blog! They multiply! As always, please make sure to use your post URL address NOT your blog home page URL address as there are many late visitors who get confused as to which post is for PPF when they arrive (after Friday) at your website. If you are unfamiliar with Mr. Linky, an explanation of how this tool works can be found on Week 1 and Week 2 posts. Have a lovely paint-filled week! Welcome to Week 11, Year 5 of Paint Party Friday! This week, the random.org number generator chose #17: Tracey Fletcher King. 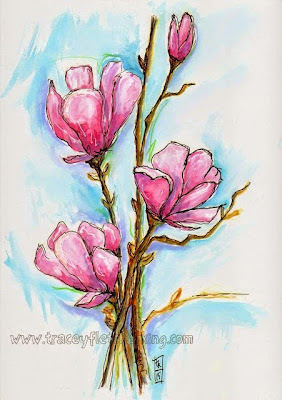 Last week, Tracey shared a beautiful painting of magnolias along with a blog post about things she is looking forward to. One of the things Tracey is looking forward to is teaching an online class called Delicious Paint... We are sure it will delight the palates (and palettes!) of painters across the internet! Wishing you a delightfully delicious week of painting goodness! Welcome to Week 10, Year 5 of Paint Party Friday! This week, the random.org number generator chose #58: Silke. 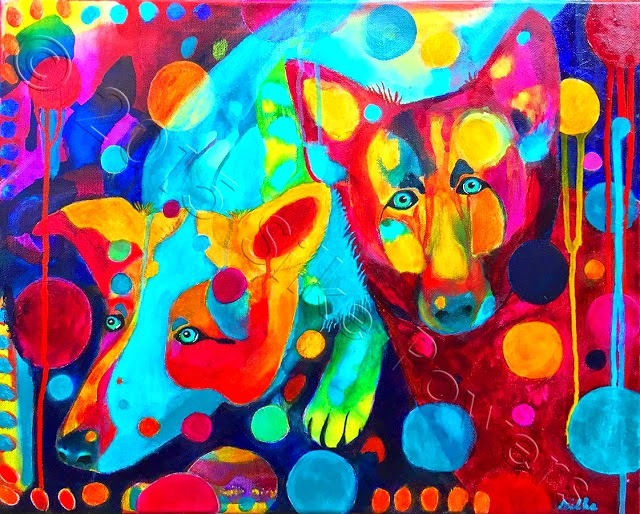 Last week, Silke shared a beautifully vibrant painting that was commissioned of two therapy dogs. She also shared some wonderful advice about taking small steps toward bigger goals, so be sure to stop by her blog to read how she makes major tasks more manageable. Wishing you a week filled with small steps toward your painting goals! Welcome to Week 9 of Year 5 at PPF! Happy Mother's Day on Sunday to all the Moms who paint and party with us! How a paint and fun filled week! Welcome to Week 8 of Year 5 at PPF! This week random.org chose #78 - Gloria Zucaro. 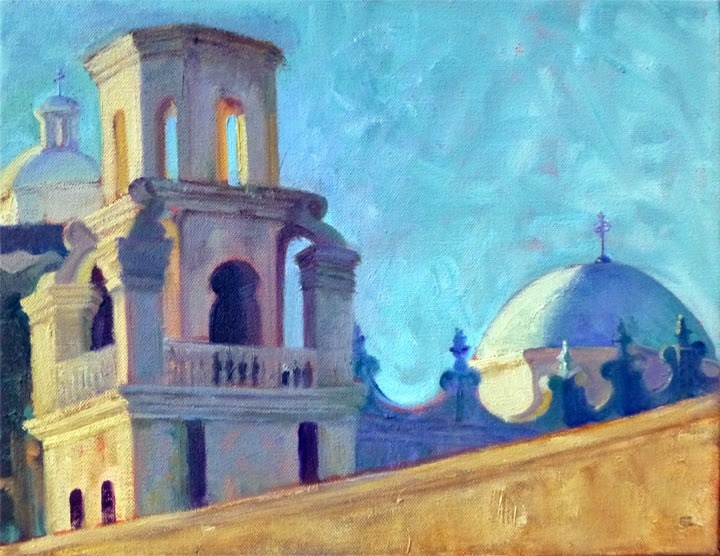 Gloria just finished a plein air painting from a workshop she attended in Tuscany (how awesome!) and has a post full of wonderful art to show inspired by this and other workshops. Please drop by and see the rest! Have a fun and creative week! Thanks for your visit! Please join Kristin and EVA regularly to paint, party and check-in on Fridays with what you've created! When I'm not here, you can often find me exploring and experimenting, creating and musing at to be determined. I love to play with paint and meet other people who do too! You can read more about my art adventures here. Would You Like To Be A Featured Artist??? Grab a Button and Invite Your Friends to Play Too! Welcome to the first weekly Paint Party Friday!! Paint Party Friday: Week 52 Check In... Let's Celebrate 1 Year of PPF!!! Paint Party Friday: A Tea Party For Tracey!